Do you need any Iceland Vacations ideas? well, here below you will find some ideas that might help you in planning your vacation in Iceland. Here we mention our most popular tours that are tried and tested but if you have something else in mind and need any further help please contact us and we will be happy to assist you. The Self Drive tours are always popular and driving the ring road around Iceland is the best way of seeing diversity of the country. With the geysers in South West, glaciers and black volcanic beaches in the South, The beautiful fjords in the East, go whale watching or horseback riding in the north, experience the deep tranquil fjords in the North West and the scene of the Icelandic Sagas in the west. By driving yourself you get the freedom and flexibility to do and see what you want in the time you choose. The 7 day self drive tour around Iceland is great idea for those who don't have much time but still want to drive the full circle. We call it the express circle for a reason and wouldn't recommend driving around Iceland in any shorter amount of time since you would be seeing most of the country behind the front window of your car. The 10 day self drive tour around Iceland is a lot more relaxed way of seeing the country and great Iceland vacation idea for those who want to take their time enjoying the sights and perhaps take part in some optional activities along the way. The third trip around Iceland we can recommend is the 14 day self drive tour around Iceland it includes the circular road around Iceland but also the lesser visited but in our opinion one of the most beautiful part of the country with its deep tranquil fjords and small fishing villages so if you are looking for a relaxed vacation this is the Iceland vacation idea for you. Because the self drive tours offer such a great flexibility there are many options and if you can't find the tour you are looking for we are happy to customize a tour for you. For many traveling with a group is a good idea since they get to know other like-minded people along the way and the added benefit of having a professional guide and driver means you can point your eyes at the sights along the way and not so much on the map, GPS and guidebooks. The guided group tours can also be a good idea if you are a solo traveler. Two of our guided group tours have been equally popular and those tours are the 7 day guided group tour and the 9 day guided group tour around Iceland. Spending new years in Iceland is a good vacation idea and a different experience from what most are used to. Icelanders get a bit crazy around midnight on New Year's eve and the sky lights up from the hundreds of tons of fireworks being set of. 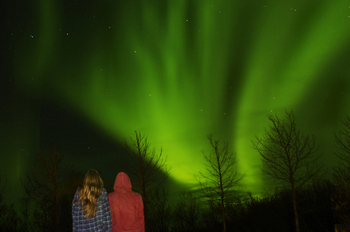 Northern lights vacation ideas Seeing the northern lights is a once in a lifetime experience the best way of experience them is to leave the city lights and head out to the country side. If you are looking at tours that offer the best chance of seeing the northern lights it is a good idea to do a Self drive tour like the 7 day tour of the South. For those who prefer to stay in Reykjavik and just do a one night excursions to hunt for them then this northern lights city break would be a good choice. If you are very interested in the northern lights then our 8 day guided northern light tour is the best bet, with sightseeing during the day, lectures on the northern lights and then searching for the aurora borealis after dinner. 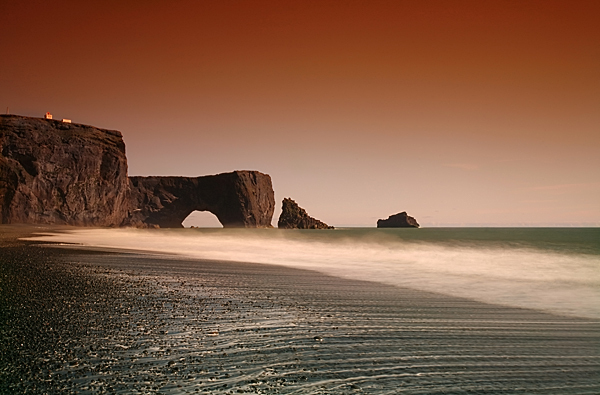 Iceland is a hikers paradise with lots of different options depending on your level of fitness and time available. Here are all hiking tours we have available but here below are some Iceland hiking vacation ideas that have proved to be most popular. The Laugavegur hiking trail in Iceland is without a doubt the most popular one and no wonder the huts get fully booked very early so booking well in advance is advised but we pre-book our tours so we often have availability longer. Our 4 day Laugavegur hiking package is something we can definitely recommend to hikers that have some experience but for those looking for something more easygoing then a better idea would be this 5 day hiking tour around the South coast To get more Iceland vacation ideas you should browse through our main page and see if there isn't something for you.